Apart from his/her own; the Most Important Role in a students' success is played by the Faculty, the Teacher or The Coach. DOCTOR’S ZONE can boast of having one of the best Faculty Team in terms of coaching experience, qualification, competence and most importantly care for the students. The Faculty Team is a perfect blend of Experience, Energy and Enthusiasm to hone the skills required to crack the Board Exam. The duration of each class is 75 Minutes. The 75 Minutes of each lecture is divided as follows: First 25 Min for Practice Problems (PPs) Discussion; Next 50 Minutes are devoted for theoretical and conceptual learning. Theoretical learning consist of Theory coupled with important concepts /fundamentals, formulae and is taught through solved/ unsolved examples/illustrations and derivations. Appropriate Home Work is assigned in the form of Practice Problems (PPs). The assigned home work is discussed in the next class with interactive participation of the students. PPs gradually help in developing a habit and practice of revision of the syllabus. The Objective of Doubt Clearing Classes is to provide additional attention and care to the students. It helps those students who couldn't understand a concept at first which is now affecting their performance. It also helps those students who hesitate to ask/discuss their doubts in the classroom because of their shyness. In fact Doubt Clearing Class is a One to One Discussion Forum between the student and the teacher. A student feels Personal Touch/Attention while attending the Doubt Clearing Classes. It motivates him to focus on his/her target with improved energy and enthusiasm. Sometimes Doubt Clearing Classes become a good platform to recover the lost syllabus for those students who couldn't take admission at the time of beginning of the course and have got delayed due to some reason(s). 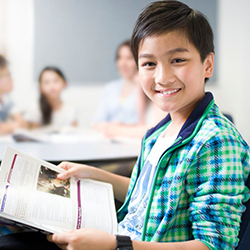 The Periodic Assessment Tests are conducted twice in a month. The pattern of Periodic Assessment Tests is as per AIIMS. The PAT is of Cumulative Tests (CTs) type. 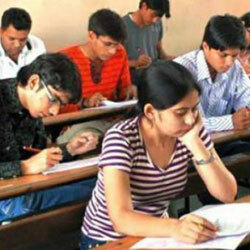 A Cumulative Test (CT) is the test of entire syllabus covered till that date of test. All the Periodic Assessment Tests are Live in nature and conducted under standard examination environment. A Micro- Analysis Report will be provided after each test with Class Ranking. The quantity of Periodic Assessment Tests is sufficient to remove the examination fear amongst the students. 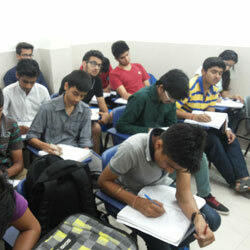 The Performance in Periodic Assessment Tests reflects student's chances of becoming successful in AIIMS. The Academic Calendar for the whole session is systematically planned at the beginning of the session itself. 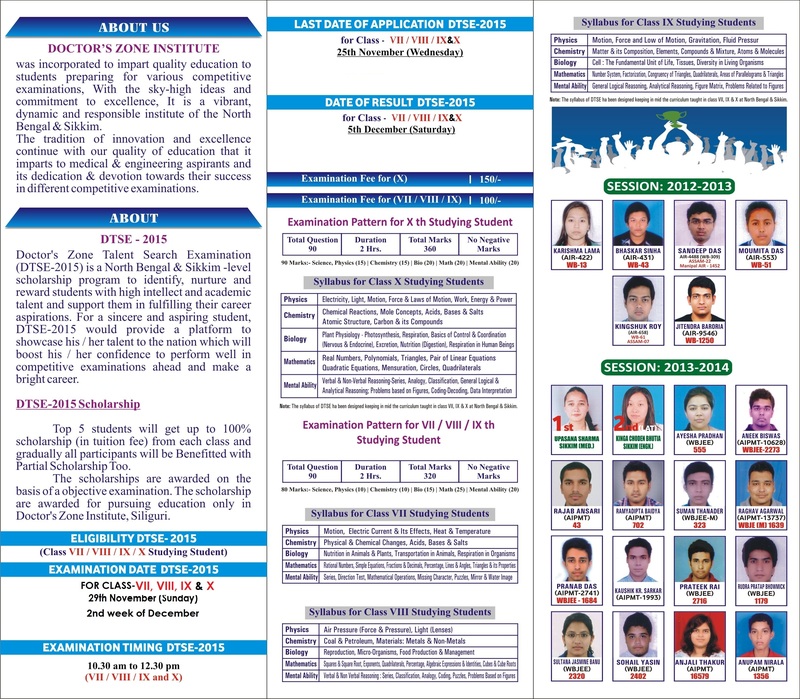 The Academic Calendar includes Curriculum Planning, Syllabus Division, Test Schedule and Lecture Planning. A regular Syllabus Progress Monitoring Report is compiled and analyzed on weekly basis for all the courses to ensure syllabus execution as per academic planning. Academic Discipline Guidelines & Code of Conduct is followed by all the Faculty Members related to syllabus execution, content delivery, start/end of classes, attitude & behaviour towards students. DOCTOR’S ZONE understands that the Academic Performance of both the coach (faculty) and the trainee (student) is not only very important but also highly critical for the success in AIIMS. Student Satisfaction Survey is conducted 2 times in a month to measure the academic performance of the faculty members .The results are analyzed and used giving inputs to enhance the output of both students & faculty members. A Periodic Assessment of Faculty Members' performance is done to increase competition amongst teachers similar to the students and to perform better than the others. Extra Classes are planned and conducted as and when required to complete the syllabus on time and to remain aligned with the Course Planning. Further, Guardian meeting will be held monthly to discuss the student’s progress.